XUL (pronounced /?zu?l/ “zool”), the XML User Interface Language, is an XML user interface markup language developed by the Mozilla project. XUL operates in Mozilla cross-platform applications such as Firefox and Flock. The Mozilla Gecko layout engine provides an implementation of XUL used in the Firefox browser. 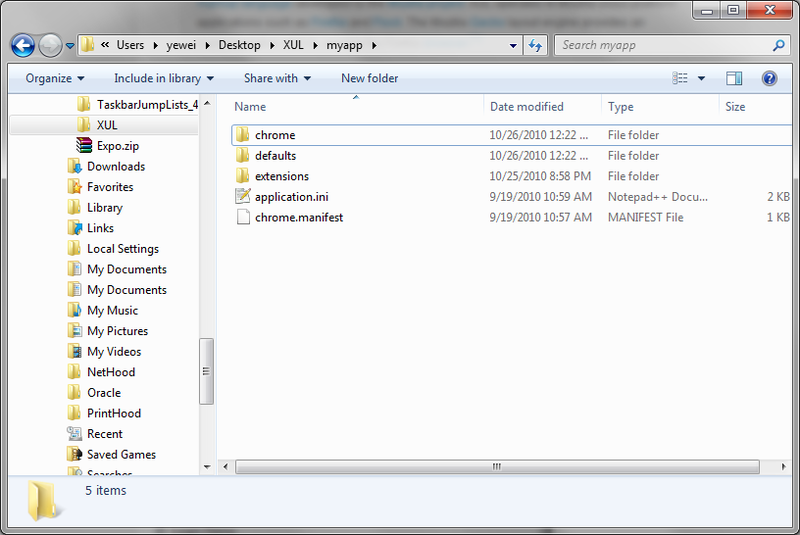 I am using Windows 7 Ultimate 64 Bit so I took Windows as example, XUL is definitely cross-platform (Mac, Linux). 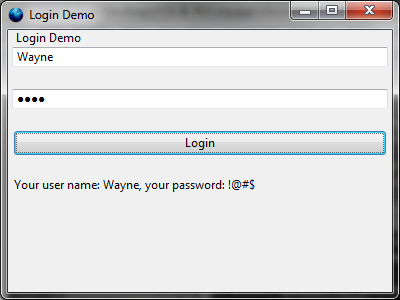 Unzip the package to anywhere you want, I take “%UserProfile%\Desktop\XUL\XULRunner” for example. Use any text editor open “%UserProfile%\Desktop\XUL\myapp\chrome\content\main.xul” and “%UserProfile%\Desktop\XUL\myapp\chrome\content\main.js”. 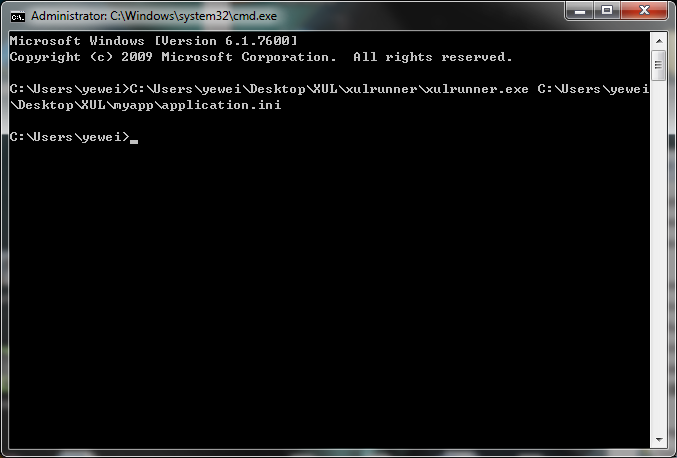 Run XULRunner with parameter pointing to your application.ini to run this XUL instance.